See if you can recognise the real words! 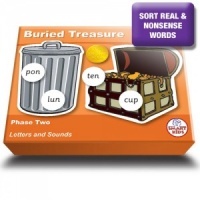 Decoding has never been so much fun! 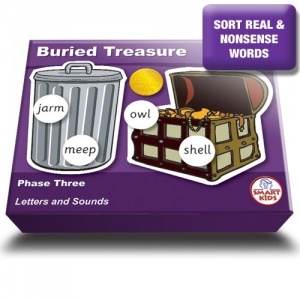 Work out whether the words on gold coins are real or nonsense. 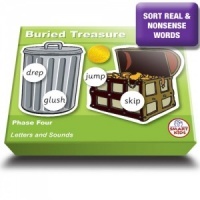 Bury the coins in a sand tray and get the children to dig for them, sorting them into real words that can be placed on the treasure chest and nonsense words that are placed on the dustbin. all supplied in a sturdy box.